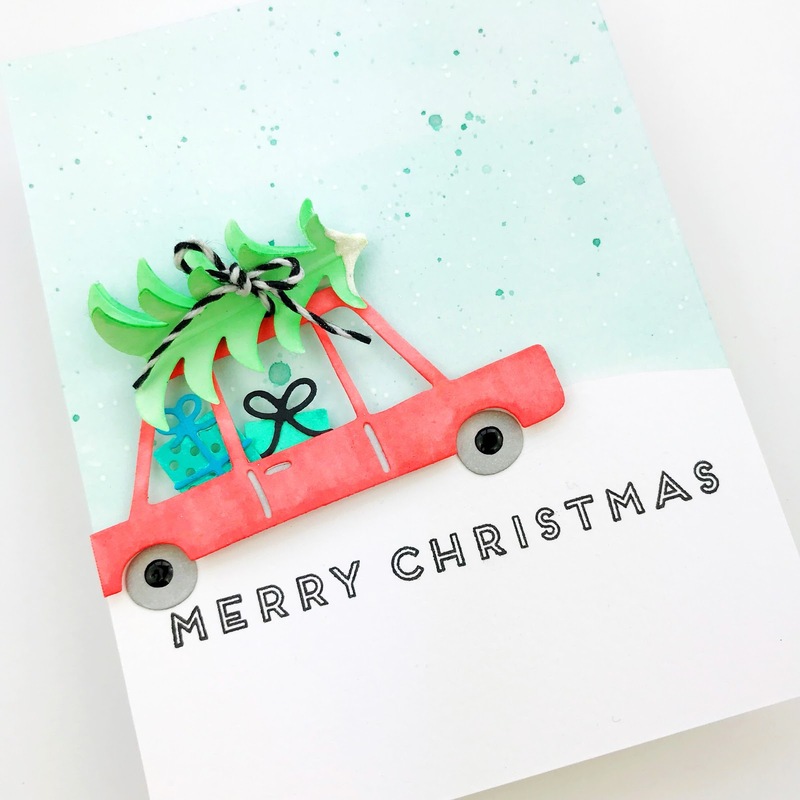 What is a girl do to with all the die cuts leftover from the Christmas cards that she never made? Asking for a friend. It's a beautiful stack of watercolored backgrounds and die cut cars (and actually there are more die cuts but I was too embarrassed to show you). 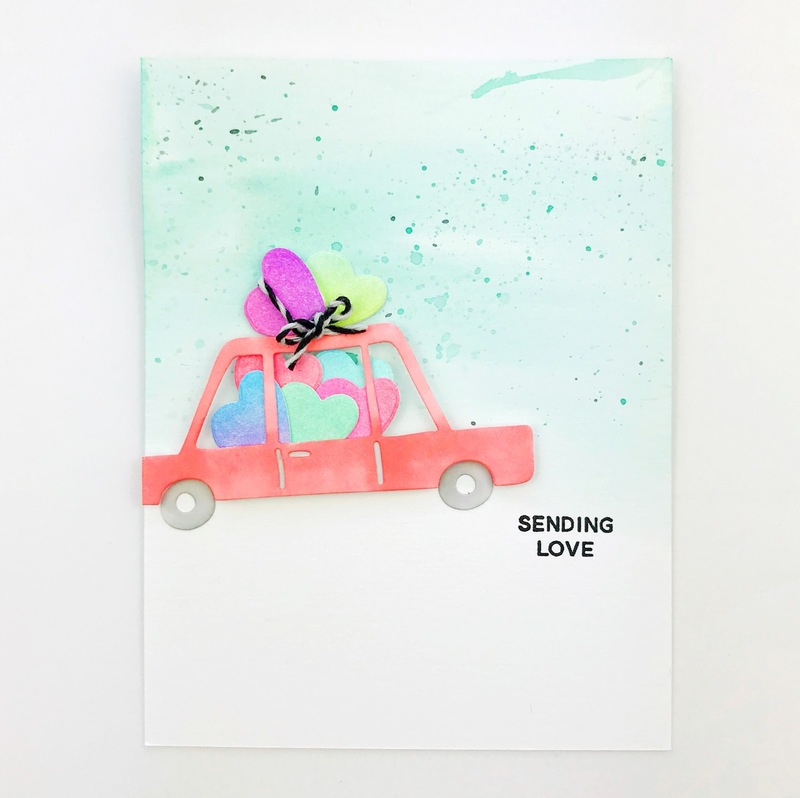 What do you think about sending love in those cute little cars? And please tell me, what do you do with your leftover die cuts? And where & how to you store them? 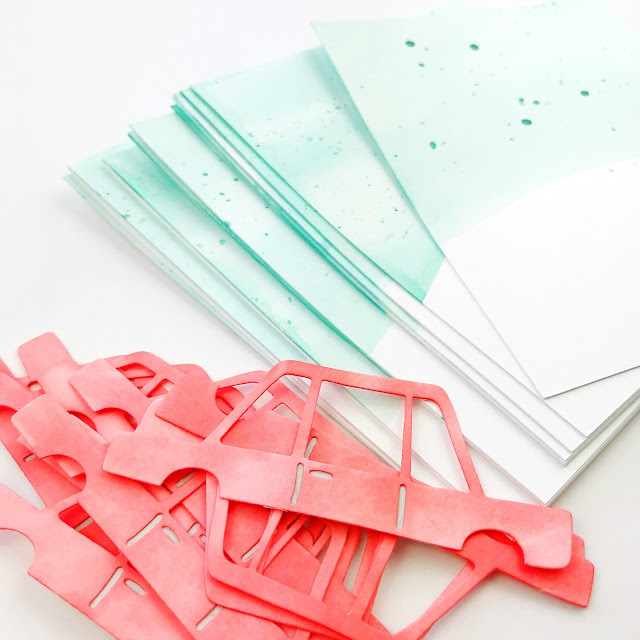 I have a photo album with pocket pages in it and store my extra diecuts in that. It allows for visibility and keeps everything flat. 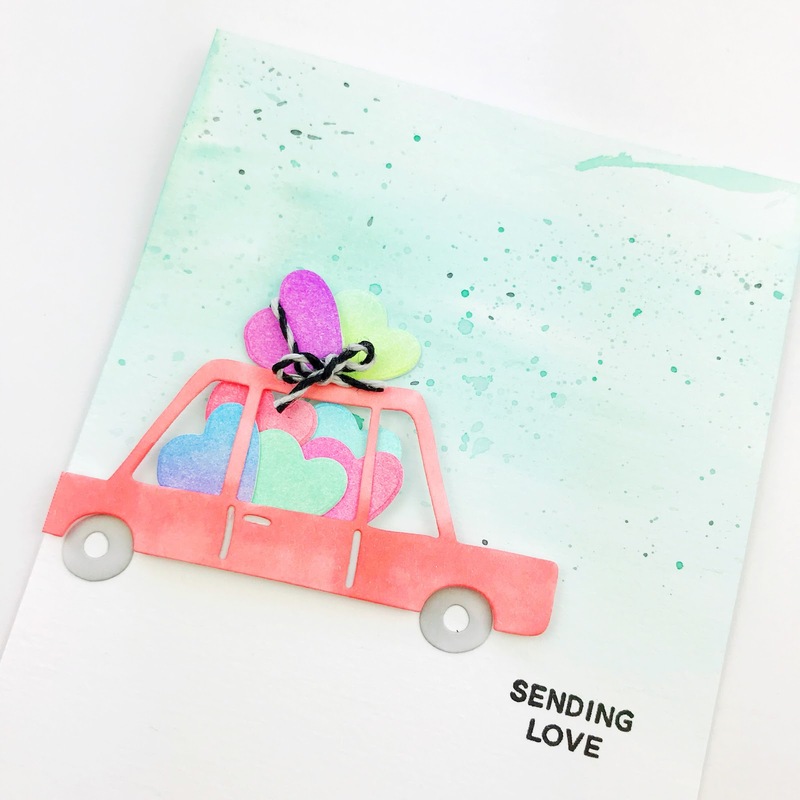 happy honey bee + cheerful love blog hop!